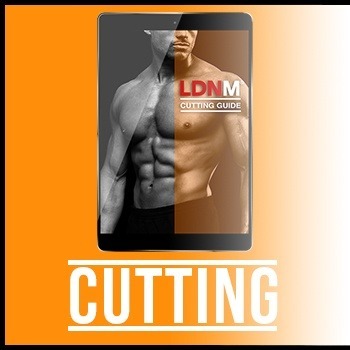 Try this Cutting Guide Chest and Triceps Workout, which is in the style of many of our guide workouts; namely being effective, efficient and hard-hitting. There are also full Exercise Substitution Sections and Home Workout Programmes for maximal flexibility with our training sessions! Training each muscle group 2-3 times per week is more optimal for muscle gain than hitting each muscle once per week. Read more about this here. MB (6,1.5″ tall and 92kg) is wearing our aqua tech tee (large), black tech trackies (medium), and baseball cap. 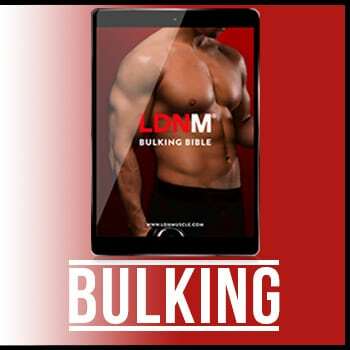 Remember to post your feedback on social media – to @LDN_Muscle and @MB_LDNM – as we love to see you making use of our content!